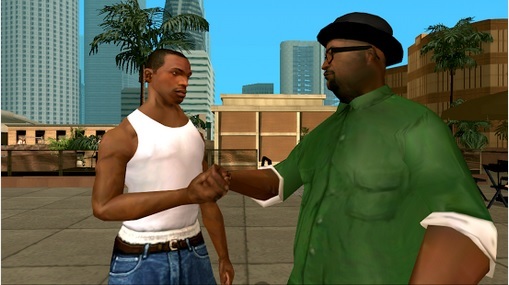 Rockstar Games popular Grand Theft Auto San Andreas game is now available on the Windows Phone platform. The game became available on both Android and iOS last December at a hefty price of $6.99 with the Apple app store having the honour of having the game available first and the Google Play Store following a week later. Almost a month later, the game is now available on the Windows Phone Store for the same price. Rockstar Games contracted Wardrum, the company that creates its popular PC and console game titles for mobile platforms to make the Windows Phone version and Rockstar promises the same world class gaming experience on your Windows Phone device. Unfortunately the game won’t be available (in a way) on all Windows Phone devices at first. Rockstar cites support for just a handful of Windows Phone devices namely Nokia Lumia 1520, 1320, 822, 820 and 810. HTC’s 8XT is also supported in this initial roll-out. Probably it is just a matter of optimisation for a much smoother experience that is locking out the likes of the Lumia 920, 925 and 1020. For a game of that size (the installation is just 19MB but game data could run up to several gigabytes), I won’t expect it to be available for devices like the Lumia 520 and the Lumia 620 due to limitations in amount of memory available. Remember the likes of the 520 still can’t get some Temple Run 2 goodness due to the game not being available for devices with 512MB RAM. The arrival of GTA San Andreas on the Windows Phone platform serves to strongly back up recent gains by the platform in terms of attracting developers of big name apps. The sort of apps available on the platform was previously the source of a lot of ridicule by die-hard fans of competing platforms and the availability of games and applications of San Andreas’ stature boosts the Windows Phone cause. Just to mention, works perfectly fine on my lumia 920 as long as I keep graphics to default settings. Not sure why they mention support for 820 but not its bigger twin(920) . Both have exactly the same hardware. Perhaps they just aren’t quite up to date with the flagships?